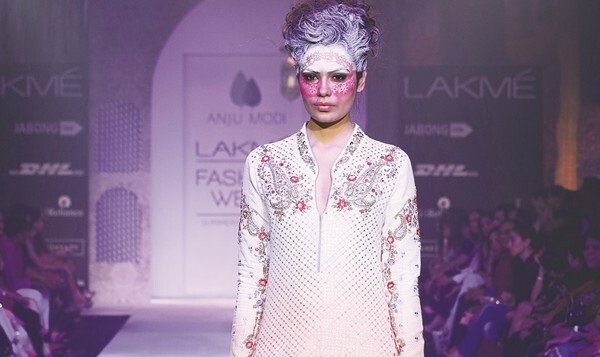 Inspired by Himalayaa��s picturesque Valley of Flowers,A�designer Anju Modi is debutingA�her latest bridal collection at Evoluzione.A�With a shift from fabrics like light and heavy raw silksA�to a blend of cotton and chanderi, Modia��s latest concentrates on bridal attire with a splash of floral motifs to bring a sense of freshness to Chennaia��s sultry weather. 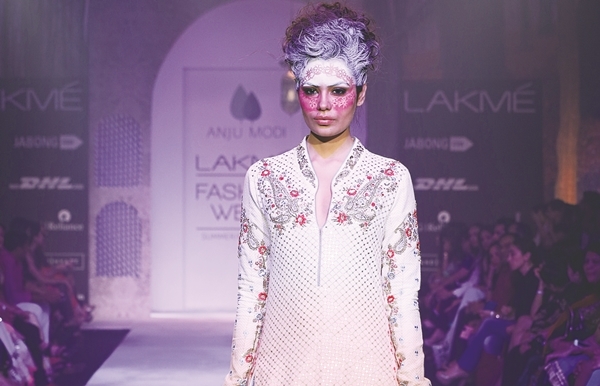 a�?In this scorching heat, to add some vibrancy to the bridal wear, IA� chose the concept of the Valley of Flowers. The line hasA�breathy materialsA� and light colours, apart from the regular reds,a�? says theA�Mumbai-based designer. 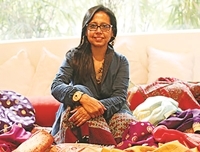 Her line also comprises fabrics like chiffon, khadi and silk malmal, which the designer says is a�?something newa�� for her. Apart from heavy bridal wear like hand-crafted lehengas and embellished blouses in rich tones of burgundy, ruby and emerald, the collection has easy-to-pack outfits like asymmetric jackets, gowns with a lot of layering,A� and light saris in soft peaches, sunflower yellows and sky blues that a bride can wear beyond D-day. Today and tomorrow. From Rs 16,800 onwards.